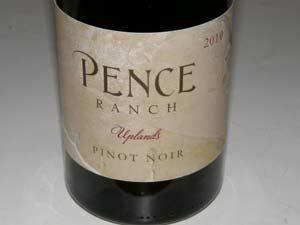 A newer producer of Pinot Noir in 2012 from Pence Ranch Vineyard located in the far eastern portion of the Sta. Rita Hills appellation (technically outside the appellation), across from Rio Vista Vineyard and adjacent Sebastiano Vineyard. About 38 acres are planted on the 200-acre property primarily to Pinot Noir with a small amount of Chardonnay. Both heirloom (Swan and Mt. Eden) and French clones. The vineyard planting began in 2006, the first crop was in 2009 and the wine was vinified by the owner at Tantara. The inaugural commercial release was the 2010 vintage vinified by veteran winemaker Jeff Fink, formerly a winemaker at Tantara. Jeff crafted the wines from vintages 2010-2013 and was replaced in 2013 by winemaker John Faulkner with Sashi Moorman as a consultant. The Pinot Noir is rooted in clay-based soils with southern and western exposures. Other grapes grown here include Chardonnay, Syrah and Gamay. Almost all of the wines are made with organically-grown estate fruit, totally about 6,000 cases in 2018. Interestingly, the Pinot Noir is fermented in open-top concrete fermenters, with a variable percentage of stem inclusion. In August 2016 an eastward expansion of the Sta. 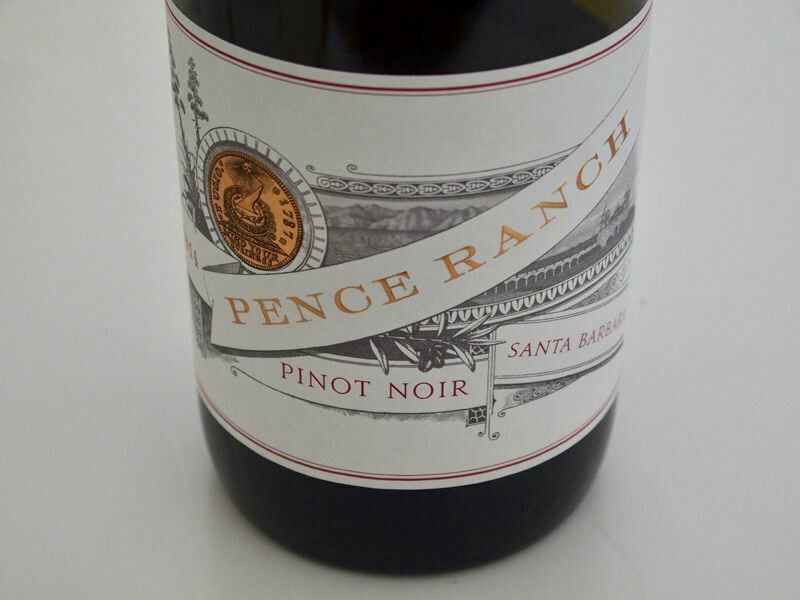 Rita Hills AVA was approved and Pence Ranch is now officially in that AVA. Modeled after a California rancho of the Spanish era, owner Blair Pence has established 10 varieties of olives and vegetable plots that supply Italian restaurants in the Los Angeles area, and grows grain on the ranch to geed 40 head of cattle and five cutting horses.